Wednesday the 3rd of April 2019 will be remembered as a special day in the history of our village; Fr Giovann Cefai MSSP has been nominated as bishop by H.H. Pope Francis. Fr Giovanni was born on the 5th of August 1967. He began his novitiate within the Missionary Society of Saint Paul founded by Mgr Ġuzeppi De Piro, in Żebbuġ Gozo and then, between 1986 and 1988, he continued his studies in Campion House in London while working in various prisons and among the poor of the metropolis. On the 6th of December 1997, he was ordained a priest by the then Bishop of Gozo Mgr Nicholas J. Cauchi. 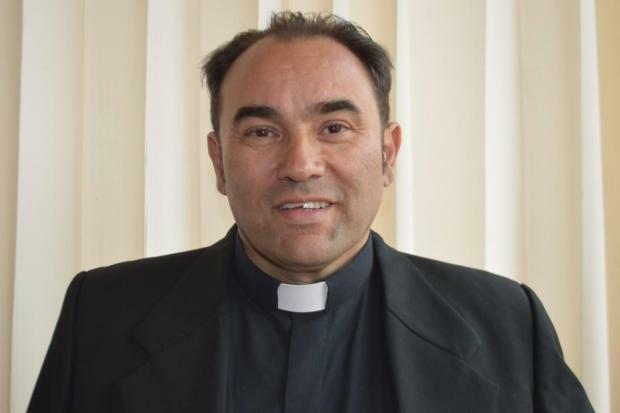 Since his ordination twenty two years ago, Fr Cefai served as director of the De Piro Youth Animation Centre in Malta and was parish priest of the parishes of Santa Cruz and San Pablo Apóstol, both in Arequipa. He was also regional superior of the St Paul Missionary Society in Peru. The territorial prelature of Santiago Apóstol de Huancané is formed of 20 parishes in which more than 200,000 people, around 85% of whom are Catholic, live. The territory includes 15 priests spread on 18,000 square kilometres of land, 75 times the size of Malta. Cefai is the first bishop to hail from Żebbuġ (Gozo) and the first Maltese member of the Missionary Society of St Paul to be ordained to the episcopate. This is a special day indeed for Żebbuġ, for Gozo and for the Missionary Society of St Paul!